Can you Vacuum an Area Rug? Many people with hard surface floors use rugs to bring in some style, make certain parts of the floor comfier, bring a certain area together, etc. Whatever the reason for using rugs in the home, many people wonder if it is okay to vacuum them and how to vacuum them. 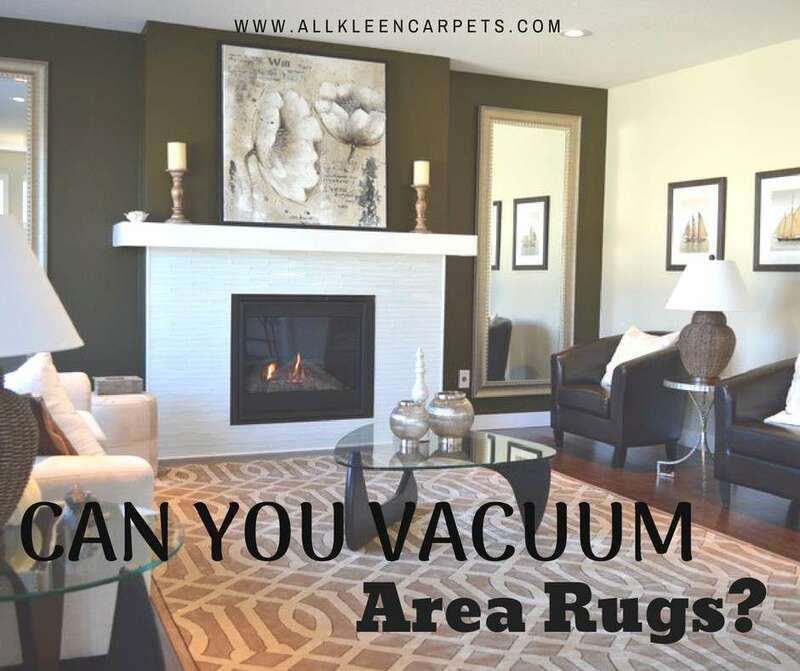 It is, in fact, a good idea to vacuum your area rugs and here are some best practices for vacuuming different types of rugs. When vacuuming rugs with a thick backing you will want to turn the beater bar off. The brush can be pretty harsh on the ends of the carpet fibers. If you decide to use a vacuum attachment, vacuum in the direction of the pile with a sideways motion. Never vacuum the fringe of a rug unless the beater bar is switched off. An upholstery attachment is a great way to care for a thick foundation rug. With an upholstery attachment you want to vacuum in the direction of the pile and pick up the attachment from the rug at the end of each stroke to avoid pushing the attachment against the pile. If the rug has a longer pile or any pile at all you will want to use the upholstery attachment on the vacuum and vacuum only with the pile. Make sure to only vacuum in one direction picking up the attachment head to avoid vacuuming against the pile. If the rug has little to no pile use the upholstery attachment to vacuum across the width of the rug being careful not to be too aggressive or apply too much pressure. Even the best of upholstery attachments can cause damage to silk, wool, and other delicate materials. With very delicate rugs you may not want to use a vacuum at all. A soft horsehair brush run gently along the carpet fibers by hand along the width of the rug is best. Many time these types of rugs are more used as tapestries. Be sure to be very thorough and attempt to catch debris and dust before it settles deeper into the rug. Vacuuming a shag rug also takes special care as the fibers are very long and can easily get frayed and they will definitely get stuck in the beater bar of a vacuum. For some great vacuuming tips for shag carpets and rugs check out the article in the link. For more information about the care of all types of carpets check out our website. For the best carpet cleaning in Bothell make an appointment with All Kleen. Very good post! To vacuum the rugs, use a powerful upright vacuum, but take extra care to go in the direction of the pile to avoid damaging the fragile foundation. Do not beat this rug to dust it, as this can damage the latex. Shag: A shag area rug is characterized by its long pile. Use a wet/dry vacuum for this rug.